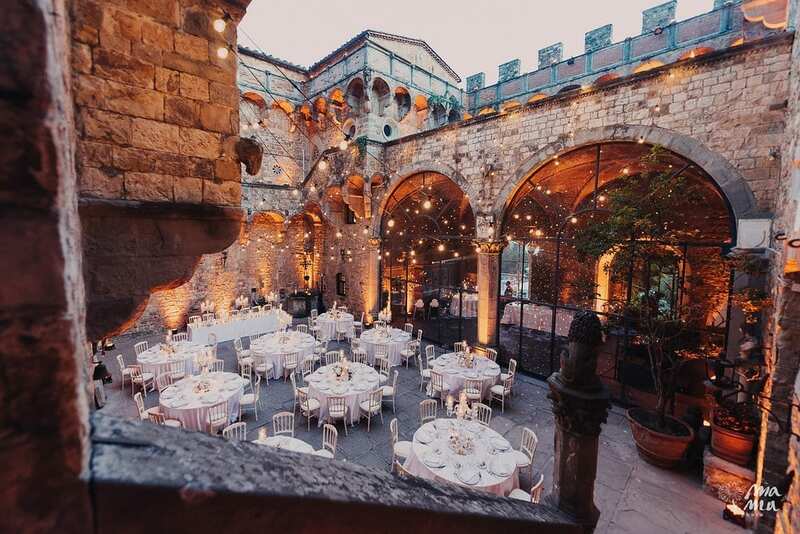 Arriving from Emilia-Romagna region the couple’s dream wedding was to live a fairytale in Tuscany. 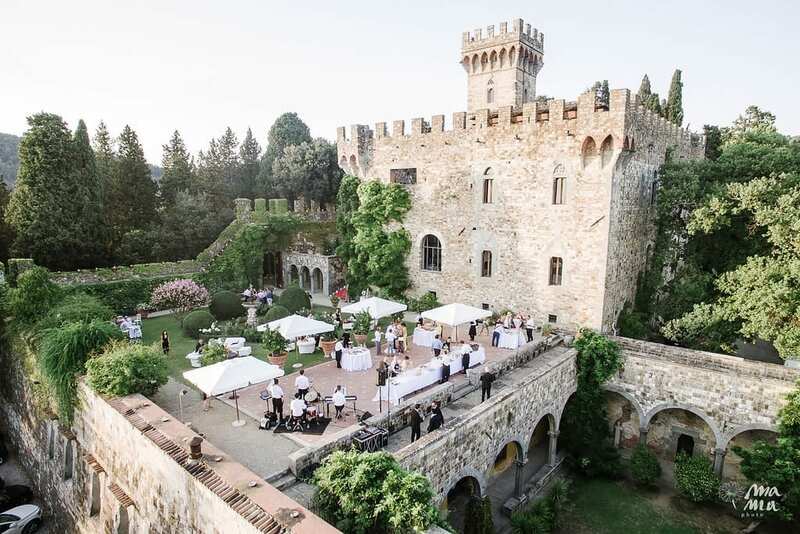 Andreea and Iader from Forli contacted us and they were definitely sure about two things: an absolute desire to get married and to have a wedding celebration in a castle. 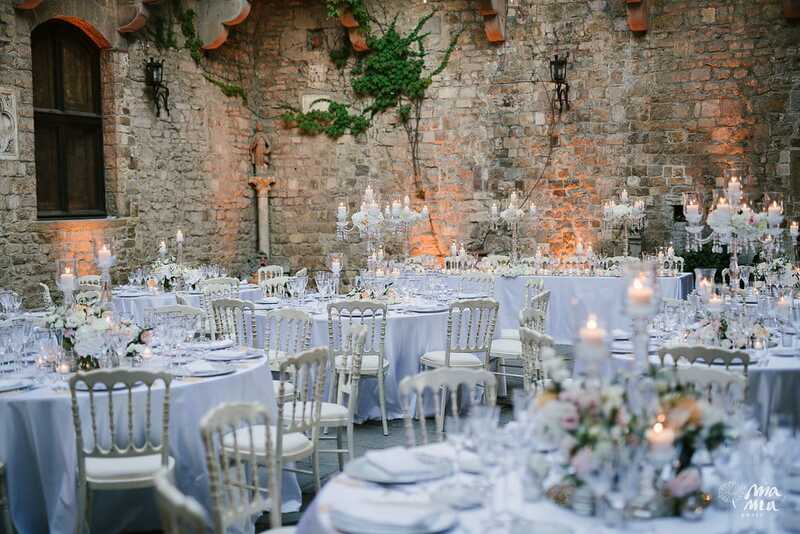 The couple chose Tuscany because they were completely in love with Castello di Vincigliata. It is hard not to be fascinated by this place, located on the hills of Fiesole. It reflects the old times, tells various stories, and has a unique, romantic atmosphere. With the sunset lights in the end of July the setting looks just perfect. 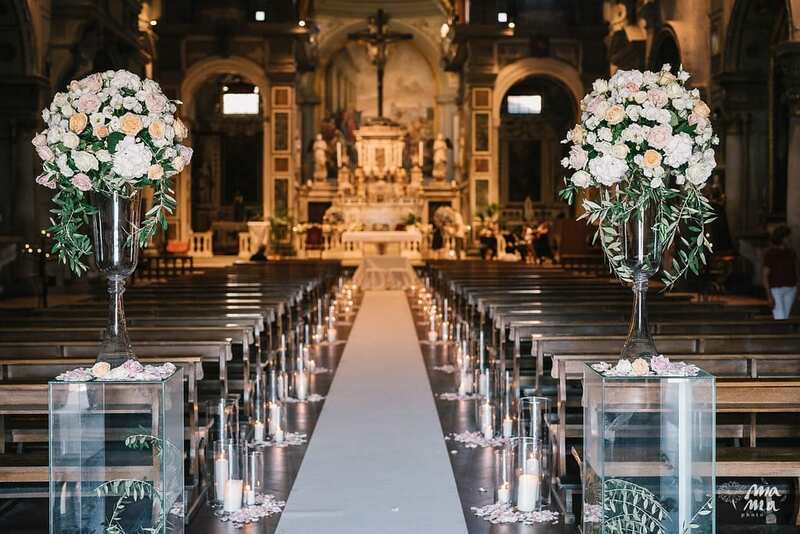 The couple arrived a day before and started the preparations together with the families and kids in the suits of the St. Regis Hotel, which was chosen regarding its splendour and closeness to the church. The ceremony was taking place in the Church of Ognissanti, a Florentine masterpiece, and was followed by a ride in the carriage in order to see all the magical city places! 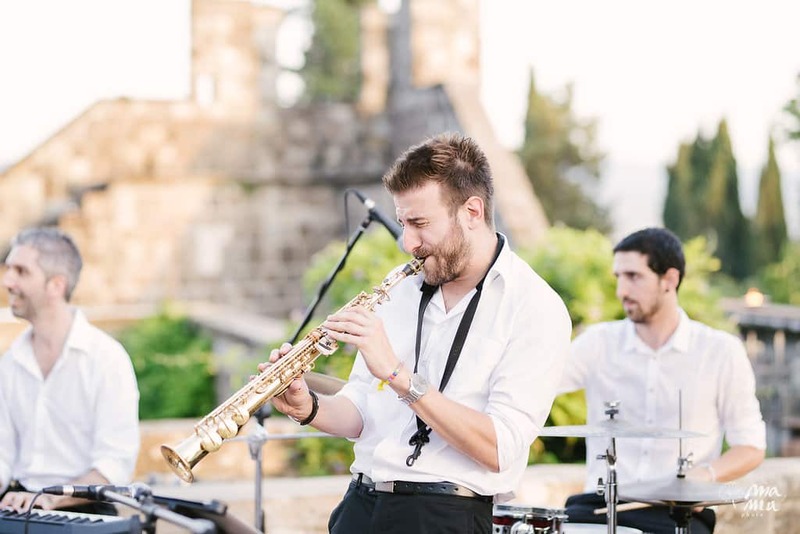 While taking pictures in every corner in the center they reached the castle with a vintage car, where the singing of the jazz band was already greeting them. 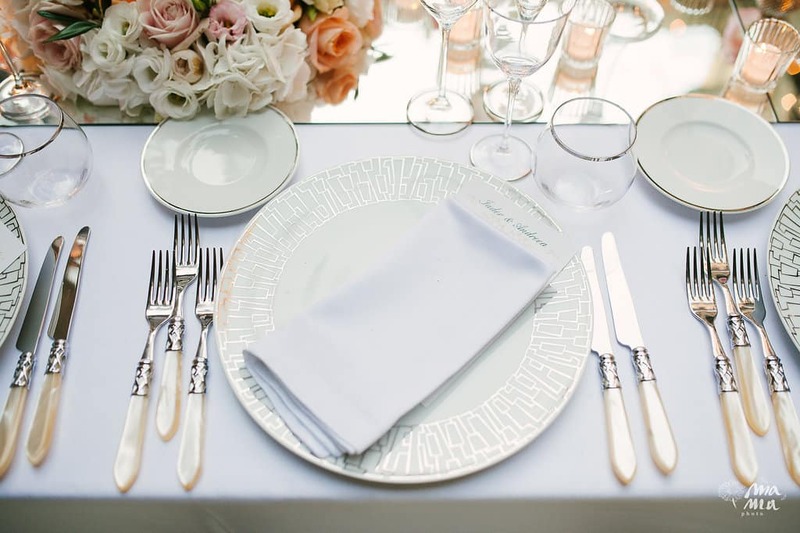 The wedding setting was concentrated on the light colors such as white, ivory and blush united with precious materials - crystals and glass. 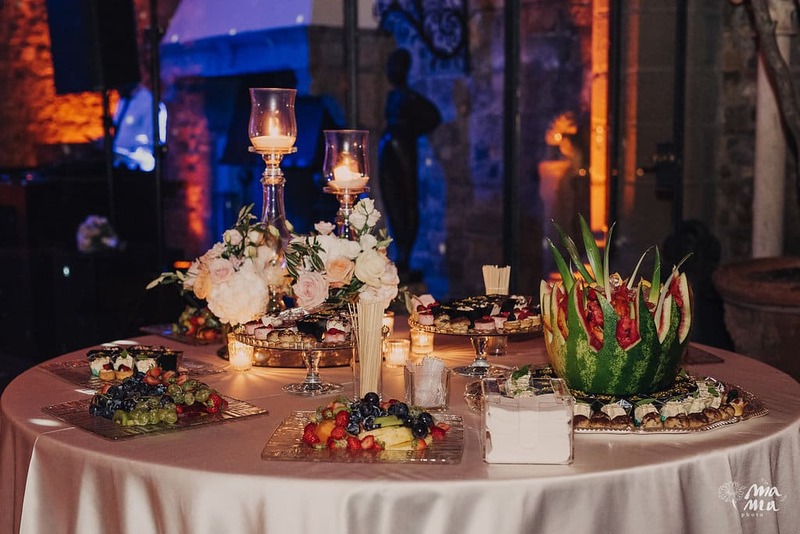 Flower compositions set in the glass vases in the church and crystal candelabras with flowers of the same palette at the dinner reception created a harmony between all the details. The bride was a real princess! She had a mermaid shape dress, an elegant hairstyle and precious jewels. The fairytale atmosphere was created with the help of the lightning ceiling set up in the garden where the dinner was held and also thanks to a triumphal red staircase built specifically for the event. 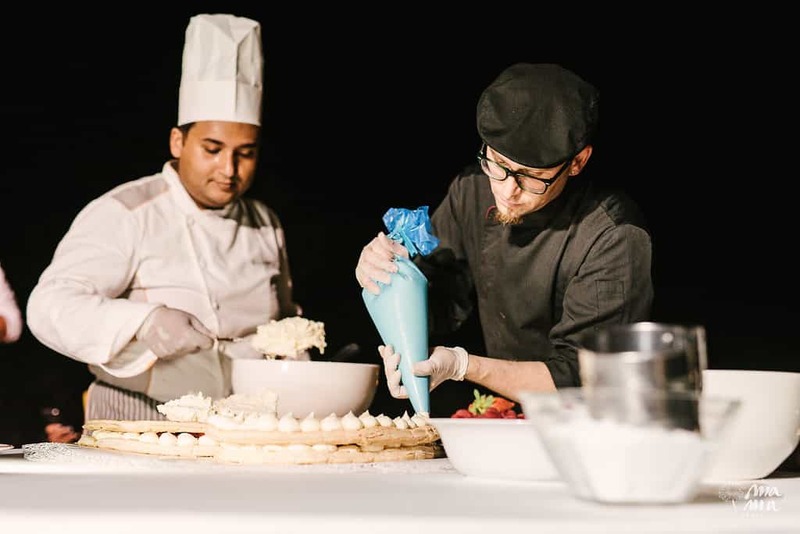 The main attraction of the night was a spectacular music firework in the moment of cutting cake on the terrace, that left everyone breathless.